Hey guys! Most of you probably know by now how I adore BB Creams and why I prefer it over liquid foundations and tinted moisturizers. I love BB Creams so much that they have become part of my everyday look which is why I never pass on any chance of trying out different brands whether high end or drug store. 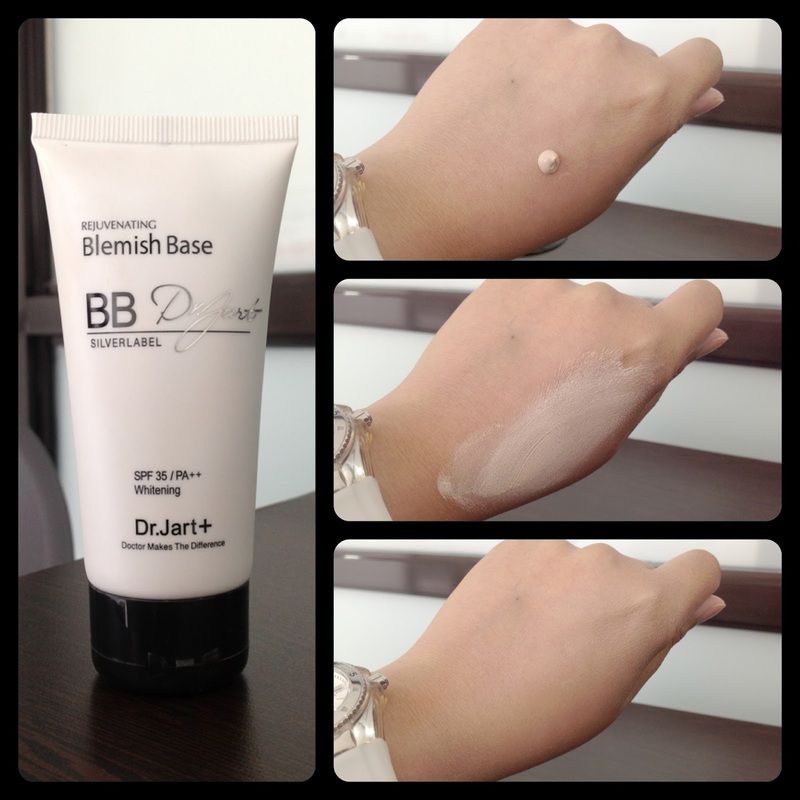 Among the array of BB Creams in the market, one of the very first brands I've read about with great reviews was Dr. Jart so when I finally got my own Dr. Jart Blemish Base Silver Label, I immediately tried it. Dr. Jart Blemish Base Silver Label comes in a 50 ml squeeze type tube with a flip top cover which I really like because aside from being hygienic, it also gives you good control over the amount of product to dispense. This product has a thick consistency but surprisingly spreads with ease and melts almost instantly on your skin. It has a subtle scent which goes off in a few minutes. 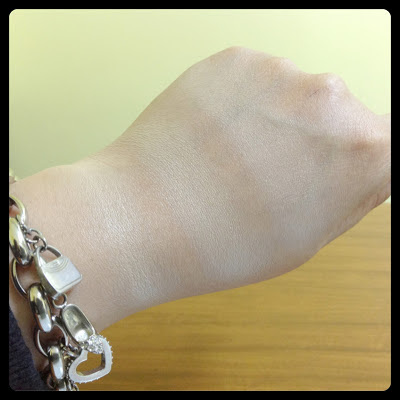 It gives off a white cast and takes a little while to blend with my medium complexion. I like that it gives my skin a moisturized finish without looking shiny or greasy. It offers sun protection with its SPF 35 and has light to medium coverage so you may still need a concealer for dark blemishes. Now let's see how Dr. Jart fairs when compared to the top two BB Creams on my list, Tony Moly Luminous Goddess Aura BB Cream and Clinique Age Defense BB Cream. Dr. Jart has the thickest consistency followed by Tony Moly and Clinique. All three products spread effortlessly but Clinique dries off faster than the two. Dr. Jart gives your skin the most moisturized look followed by Tony Moly, Clinique on the other hand looks more matte. All three offer light to medium coverage and protection from both UVA and UVB rays. Tony Moly offers the highest SPF value of 37 followed by Dr. Jart with SPF 35 and Clinique with SPF 30. A closer look at the swatches above tells us that Dr. Jart has the fairest shade followed by Clinique. Tony Moly best matches my skin tone because it blends well with my complexion. You may not appreciate it with the image shown since my hand is way darker than my face, but Tony Moly is my skin's perfect match judging by the way it virtually disappears on my skin without leaving a white cast. Clinique is the 2nd best match for my skin but I still need to top it with a finishing powder for a better color match. Dr. Jart may leave a ghostly cast for a while but eventually fades to a minimum fair glow. I also prefer using it under Ben Nye Banana Luxury Powder because it tends to look more natural that way. 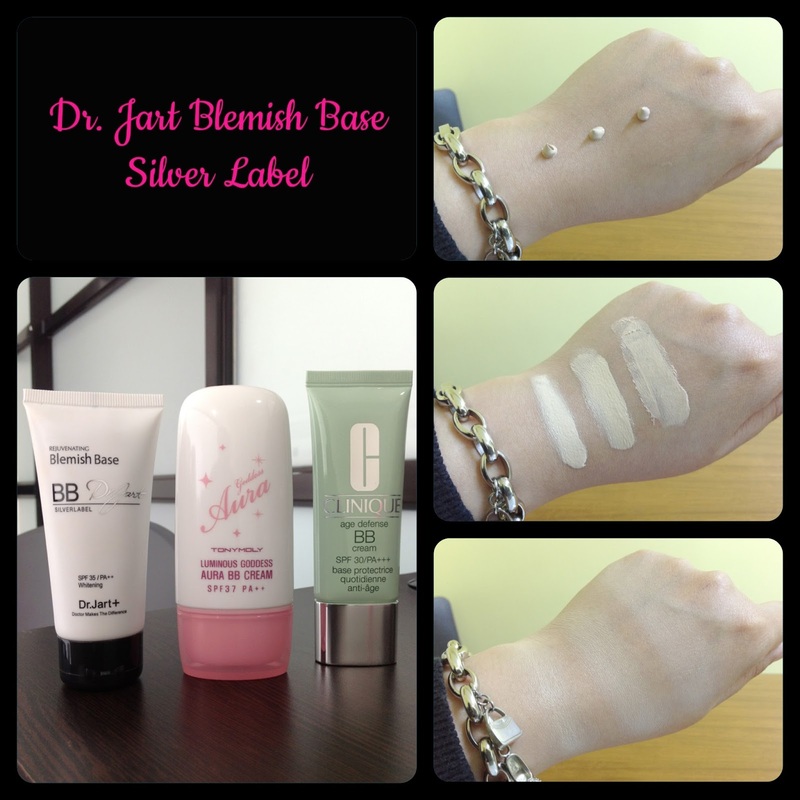 Overall, Dr. Jart Blemish Base Silver Label is quite a good product in my opinion but I have to say I won't be buying one when it runs out. 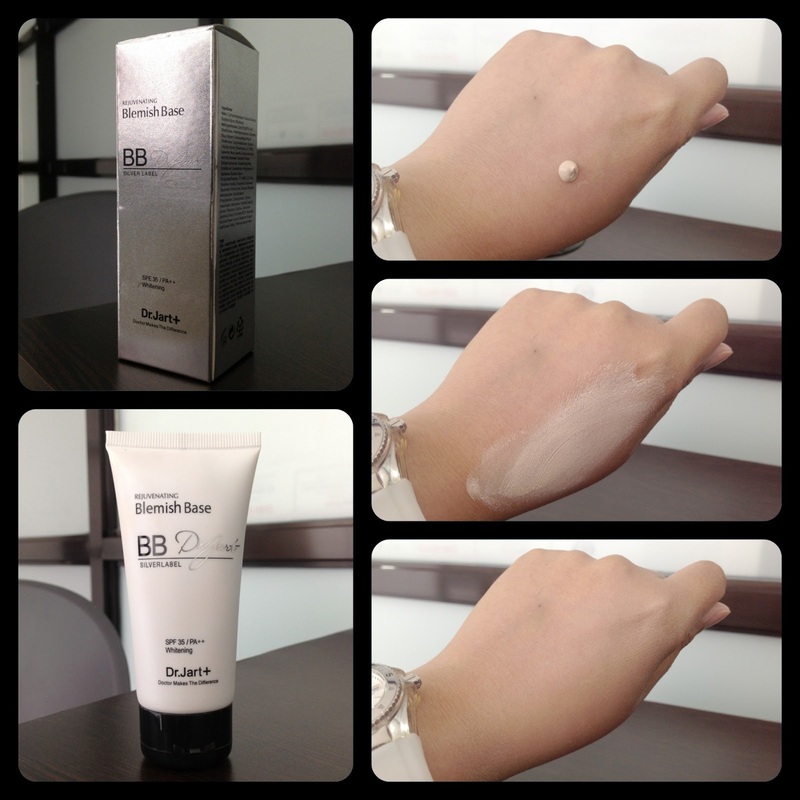 I do however recommend it to those with dry or combination skin who want to get a moisturized finish from a BB Cream. If you have oily skin, this might not be the best product for you. So that's it, I guess this means Tony Moly and Clinique remain undefeated on my list hence the search for best BB Cream is still on. Have you tried any Dr. Jart products? What do you think of their BB Creams? Do share your thoughts on the comments section below. Thanks for reading and have an amazing day!